U.S. President says he really believes North Korean leader sees a different future for his country. 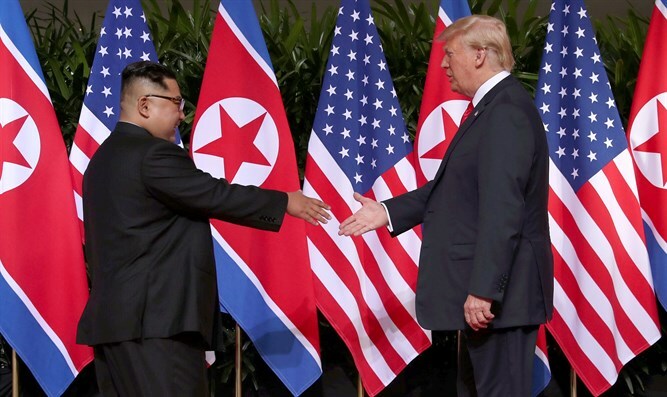 U.S. President Donald Trump said on Thursday he believes that North Korean leader Kim Jong Un sees a different future for his country, Reuters reported. “I really believe that he sees a different future for the North Koreans. I hope that’s true,” the President told reporters aboard Air Force One as he flew to Montana. Trump spoke as U.S. Secretary of State Mike Pompeo flew to North Korea for talks following Kim and Trump’s historic Singapore summit last month. Following their 45-minute meeting, Trump and Kim sat down for a signing ceremony, putting their signatures to a document both sides described as “historic”, without revealing any details. Pompeo recently expressed confidence that North Korea understood the scope of the U.S. desire for complete denuclearization. “We’ve been pretty unambiguous in our conversations about what we mean when we say complete denuclearization,” Pompeo told a Senate Appropriations subcommittee hearing on funding for the State Department.